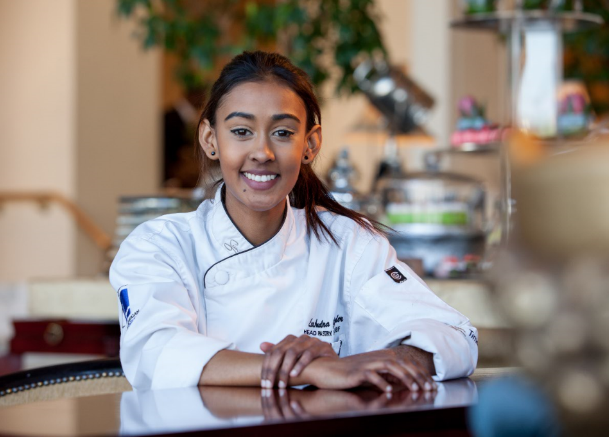 Homemade sweets and confectionary are a highlight on The Table Bay’s refreshed High Tea menu thanks to the creative hands of the hotel’s Head Pastry Chef, Lee-Andra Govender. From handcrafted bon bons to classic toffee apples, there’s a sweet to stir up nostalgia for guests. 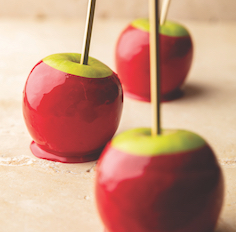 During Valentine’s month she puts a delightful twist on candy apples which will take pride of place at High Tea. The red glazed toffee apples will also be available at Camissa Brasserie on the Harvest Table at during lunchtime and on Valentine’s Day will be offered as a shared petit four after dinner. For those keen to experiment with making their own sweets for their sweets this Valentine’s Day, she happily shares her recipe. “Skip the store-bought sweets and chocolates this Valentine’s Day. Instead, get creative in the kitchen and make your own homemade candy for your loved one, or come and try one with us at The Table Bay,” says Lee-Andra. Bloom the gelatin in a small bowl of ice cold water for 10 to 15 minutes. The gelatin will soften but the cold water will stop it from dissolving. In a small saucepan, bring the milk, cream and glucose to simmer. Remove the saucepan and immediately add the white chocolate pieces. Use a hand blender and mix together for two minutes until the chocolate has melted. Fish the softened gelatin from the bowl with your hand, allowing excess water to drain before adding the gelatin to the chocolate and cream mixture. Use a hand blender to mix together for two minutes or until the gelatin has melted. Add the red food colouring, blend again and then pass the mixture through a strainer to remove air bubbles. Leave at room temperature to cool down. Dip the chilled apples into the glaze, allowing the excess glaze to drip off. Place the apples upright in the fridge to set for 30 minutes before serving. The Table Bay’s famous high tea is available from Monday to Sunday. To accommodate demand, two sittings are staged; the first is 14h00 to 15h30 and the second at 16h00 to 17h30. The newly refreshed three-course high tea is a decadent experience, starting with a few savoury treats such as butternut aranchini and deep-fried rissoles which are served at the table. The second course, also served at the table, includes a choice of freshly baked scones, cream and preserves. From there, guests can indulge in a choice of spectacular sweets, cakes and savouries from the dessert buffet. There is an array of mouthwatering cakes and desserts to choose from, as well as a cheese board. The price for the new high tea is R320 per person. The Sinful Delight option is priced at R200, offering guests the choice of sweets and cakes from the Dessert Buffet only. 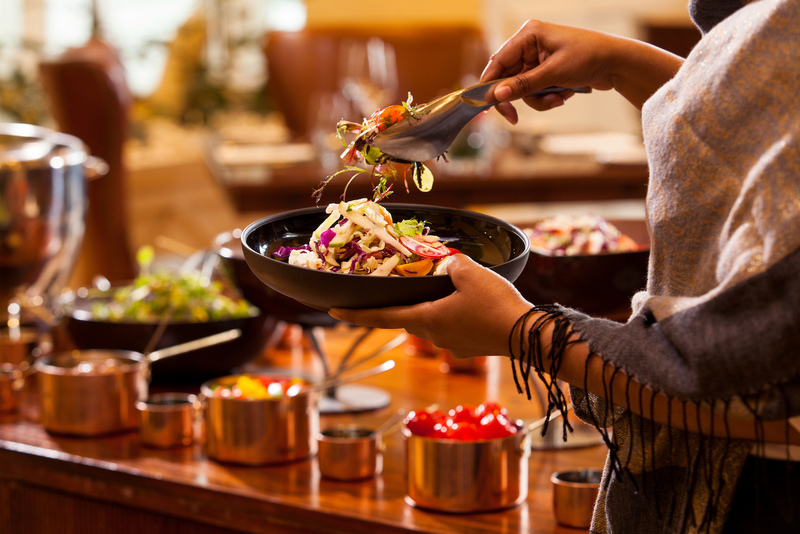 The Camissa Harvest table is available for lunch from Tuesdays to Fridays and is priced at R260 per person. 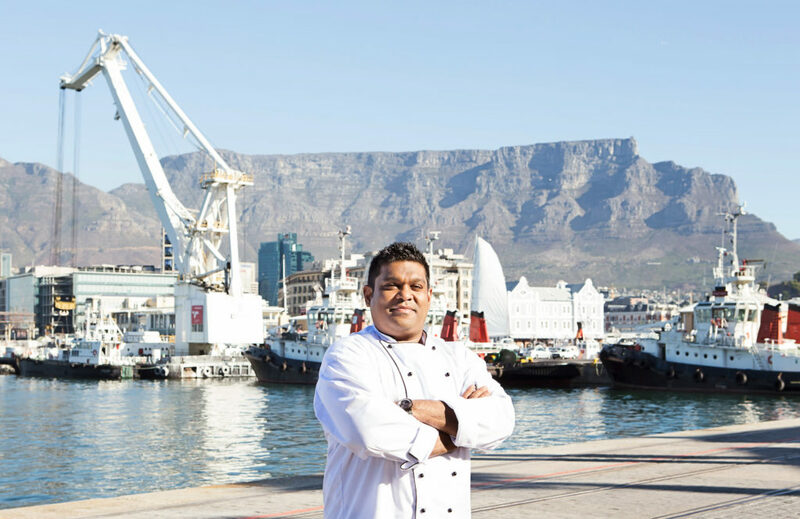 Booking is essential email TableBayDining@suninternational.com or 021 406 5988.